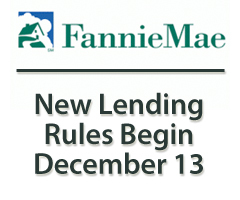 For some mortgage applicants of New Hampshire , the loan approval process will simplify. For others, it will toughen. How you’ll be affected personally will depend on your credit profile and your loan characteristics. The tightening in mortgage-lending policies that characterized the last 3 years appears to be slowing. This is good news for those of us who buy, fix and sell houses. According to the Federal Reserve’s quarterly survey of senior bank loan officers, roughly 1 in 10 lenders added mortgage qualification hurdles between April and June. It’s a huge departure from just 2 years ago when the mortgage industry was facing its first wave of challenges. During that period, eight in 10 lenders added hurdles. For mortgage applicants , this quarter’s Fed survey results signals that mortgage lending may have reached its limits of restriction. 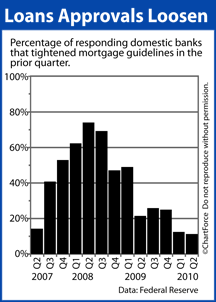 Since 2007, mortgage guidelines have become increasingly restrictive. There’s extra scrutiny on assets and tax returns; employment history is given more weight; loan purpose matters. There’s a bevy of traits that can stand between you and an approval that didn’t exist a few years ago. That said, lots of homeowners are still getting loans. Verifiable income, good credit scores and equity are the “magic formula” and banks want to lend to good credit risks. And the best news for those that qualify is that mortgage rates are fantastic right now. According to Freddie Mac, mortgage rates are as low as they’ve been in history. So, if your buyers are among the many wondering if now is the right time to buy a home , remember that, although mortgage guidelines likely won’t get worse, mortgage rates probably will. So price the home properly and make it irresistible to the buyers who are out there and able to qualify.